Canada men's national soccer team coach John Herdman speaks at a press conference at BMO Field in Toronto on Feb. 26, 2018. Canada’s men’s soccer team is done with excuses. So when John Herdman’s players venture into the unfriendly confines of Warner Park Football Field — the St. Kitts and Nevis stadium in which Canada has never scored a goal in official competition — they’ll embrace the adversity. They know they’ll face tough conditions in more important games down the road. Veteran Atiba Hutchinson and teen star Alphonso Davies headlined Herdman’s roster released Thursday for the Nov. 18 CONCACAF Nations League qualifying game versus St. Kitts, in the country’s capital city Basseterre. Canada is 2-0 and in third out of 34 countries in Nations League qualifying after an 8-0 win versus the U.S. Virgin Islands and 5-0 win over Dominica. St. Kitts is also 2-0. The Canadians have a chance to go 4-0-0 for 2018 with a victory next week, which would be a first in the history of the men’s program. With plenty to play for, Herdman is taking a no-stone-unturned approach. Canada has dropped a few infamous losses on the road. The bleary-eyed Canadians lost 2-0 in World Cup qualifying in 2012 in Panama the morning after fans blared car stereos and set off fireworks in front of their team hotel. Then their World Cup dreams were officially snuffed out in a humiliating 8-1 loss to Honduras in San Pedro Sula, in a wildly raucous stadium that looked like something out of Prison Break. The team had a “good two-hour video conference” to address the possibilities in St. Kitts. Canadian staff is preparing the broken lights at their designated practice facility, and they’re bringing in proper goals. And Hutchinson and fellow veteran David Edgar will address the players, particularly the younger ones, about what to expect. “What we’re looking at is cultivating an ‘embrace everything and be ready for everything’ mindset, and really for the team now to use this and the test in St. Kitts as that experience of building resilience for when we have to play even harder matches against tougher teams in similar conditions,” Herdman said. At stake are spots in the CONCACAF Gold Cup and 2019-20 CONCACAF Nations League Group A. A berth in Group A, Herdman said, means playing top competition — Honduras, Panama, the United States, Costa Rica, Mexico — on a regular basis. 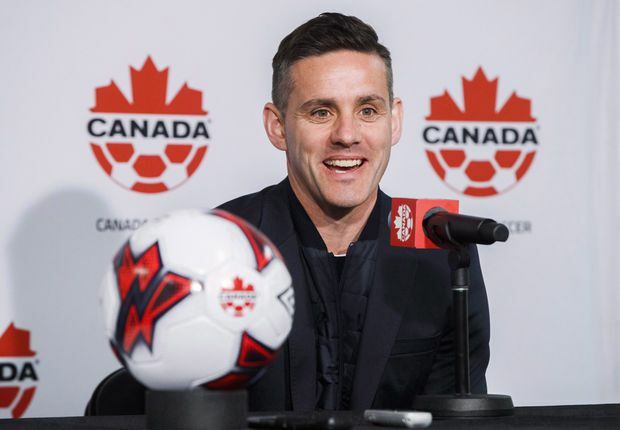 Herdman is grateful for the veteran leadership of Hutchinson, and had kind words for the 35-year-old midfielder — who’s fifth all-time in appearances for Canada (79) — on Thursday’s conference call. Through Canada’s first two qualifying matches, Cyle Larin and Lucas Cavallini lead scoring with three goals apiece. Junior Hoilett has two goals and two assists.